If you own a Mac, you probably know about Exposé. With Exposé you can see all open screens in one view. Ocean Observation, a Swedish design company, made a video which explains how this features could work on an iPhone. 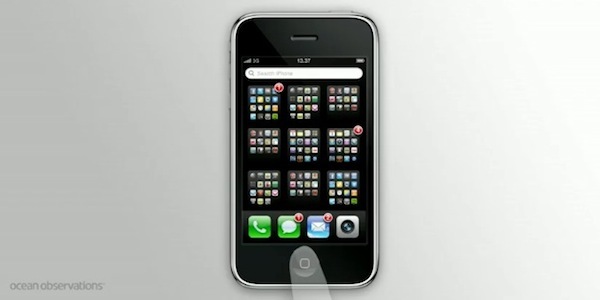 By pushing on the home-button you’ll get an overview of nine homescreens. You can go directly to one of the screens by pressing on it. The goal is to make it easier to find the one app you need. You can also use the search option above the screen if you don’t exactly know where to find the app. What do you think? Is this practical?